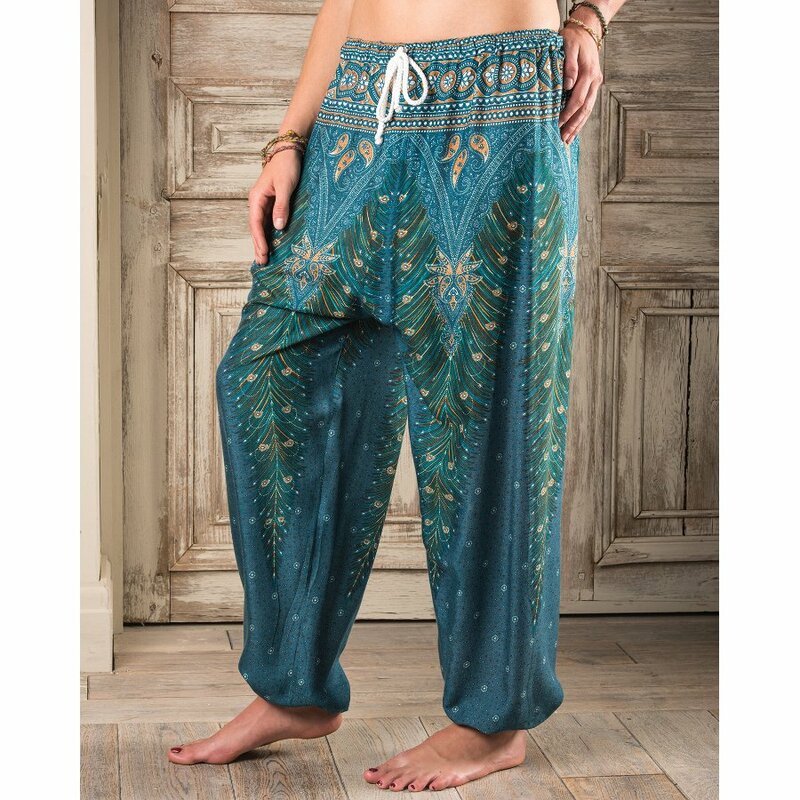 These vibrant faor trade harem trousers from Namaste feature a stylish peacock feather motif, with a beautiful pattern running along the waist. 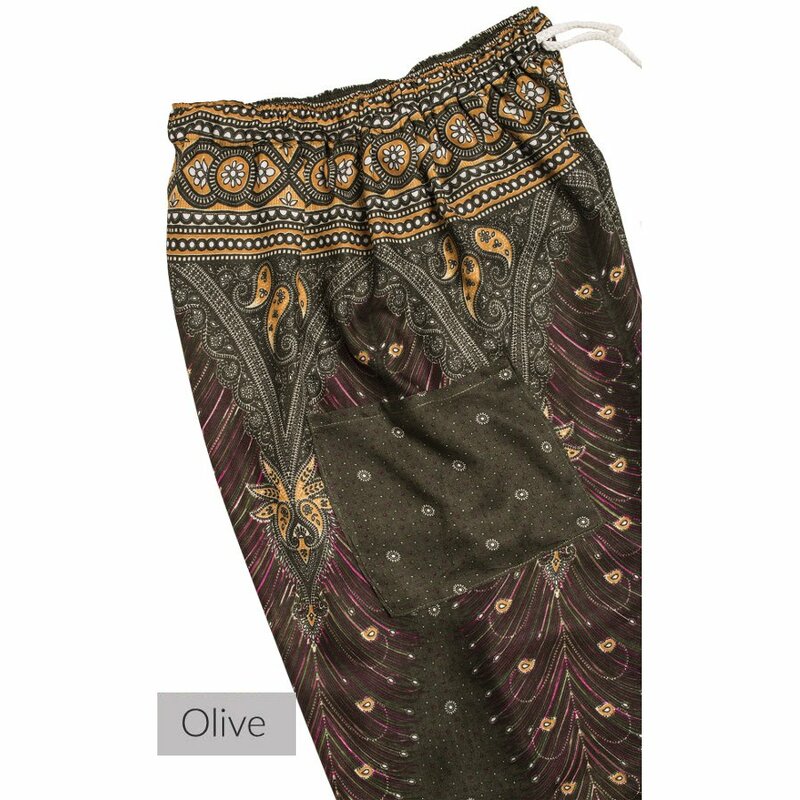 These loose-fitting harem trousers have a handy side pocket and are super comfy; using 100% rayon for the material to keep these trousers vegan-friendly. 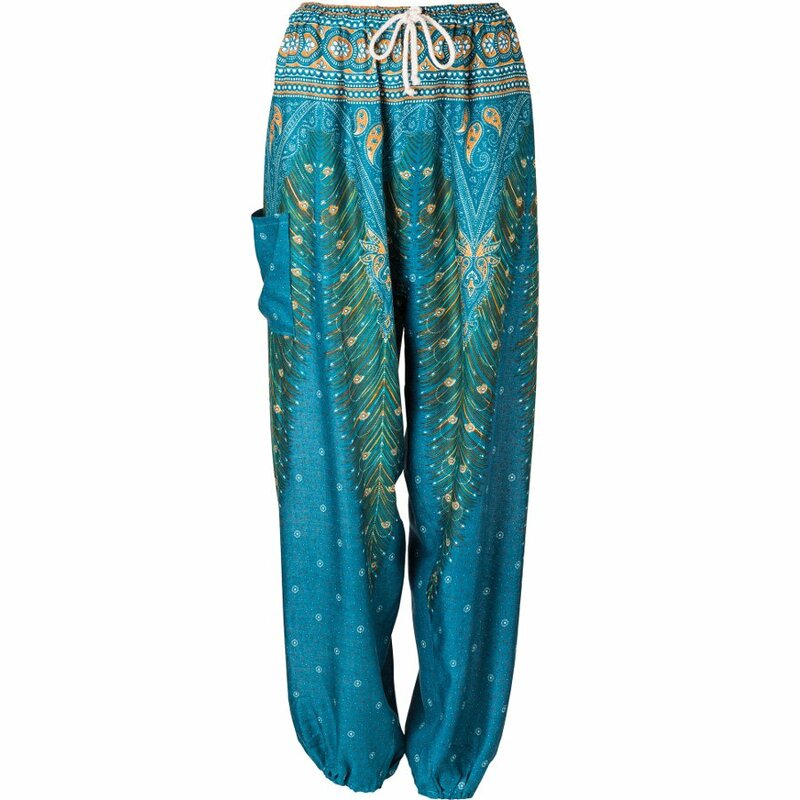 There is care and attention behind each pair of these harem trousers. 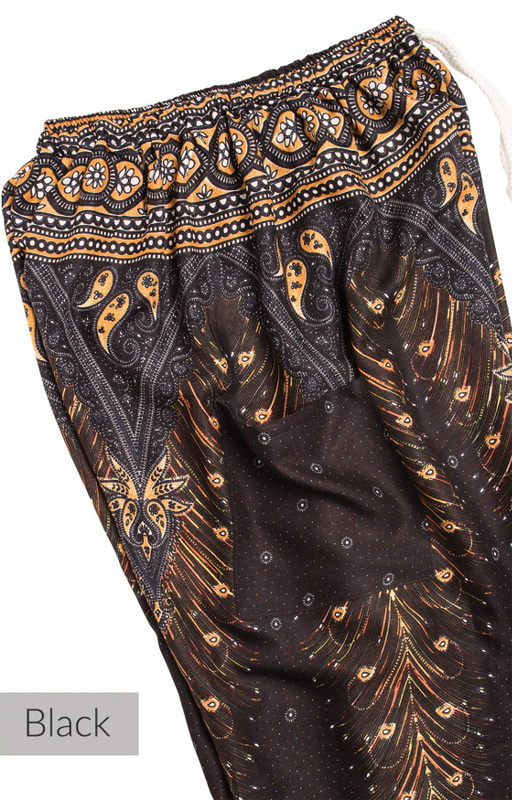 Each one is made by hand in Thailand in a safe, fair trade environment. Workers earn a fair wage and a sustainable livelihood through their work with Namaste. 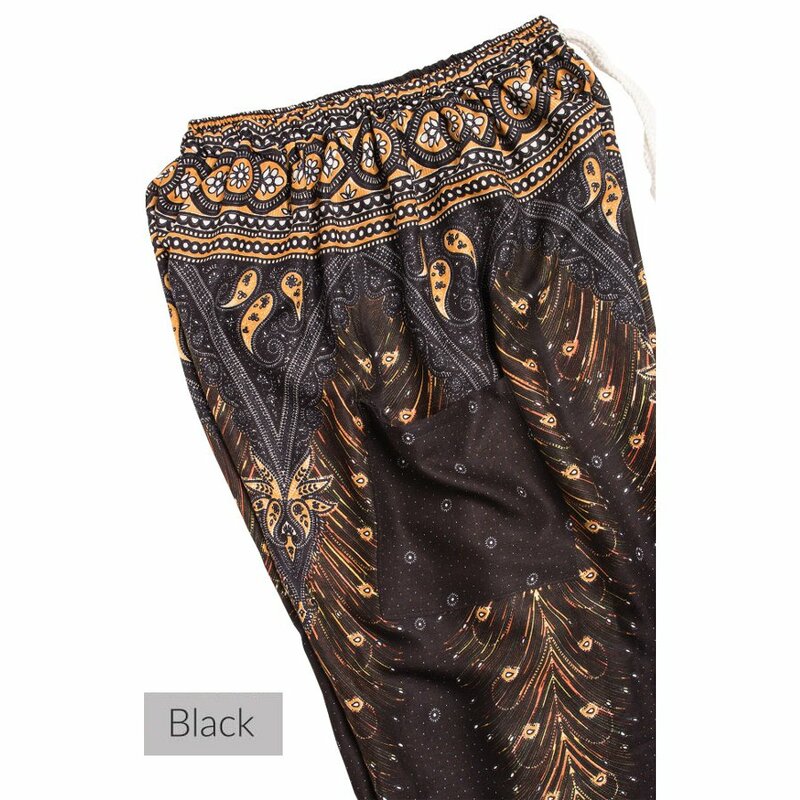 The Peacock Feather Print Harem Trousers product ethics are indicated below. To learn more about these product ethics and to see related products, follow the links below. 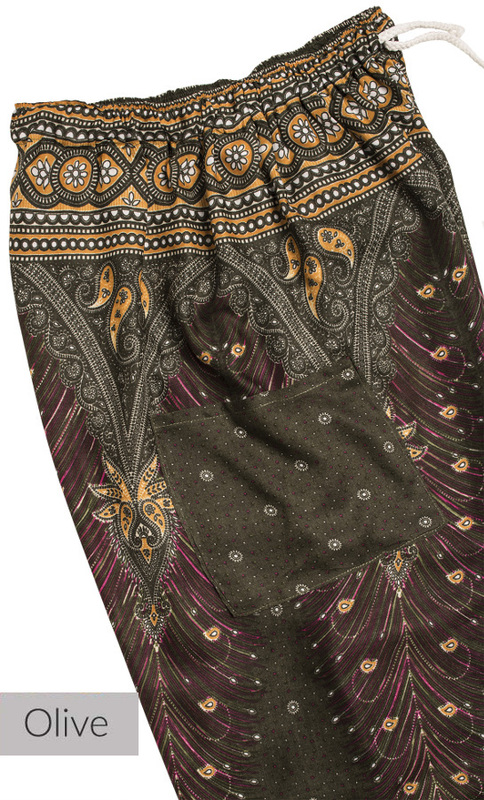 There are currently no questions to display about Peacock Feather Print Harem Trousers.